The Clemo family offer quality holiday accommodation in Mid Cornwall, either in self catering holiday cottages surrounding the farmhouse or at our caravan and camping site two miles distant from the holiday cottages. 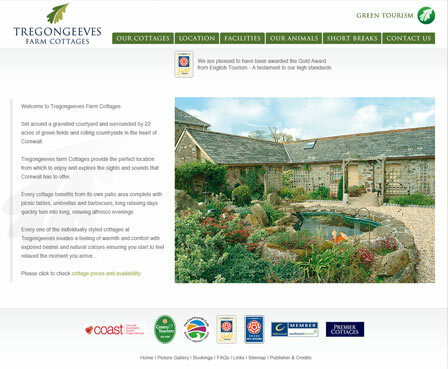 Our farm holiday cottages, set around a courtyard overflowing with flowers and surrounded by 22 acres of green fields and rolling countryside offer the ultimate in holiday luxury with a swimming pool, spa bath, tennis court, and free internet in each individual cottage. For the smaller members of the family we have Declan , Wilma and Betty the sheep, Alice and Fraser the Shetland ponies, donkeys and many chickens along with a trampoline, playroom and play area to keep them entertained! 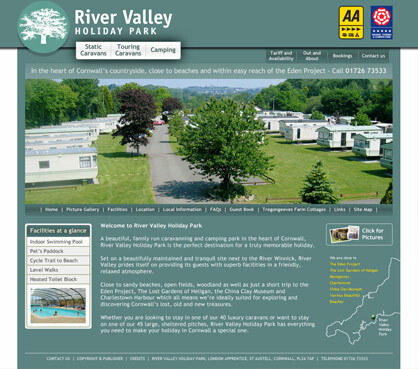 River Valley Caravan and Camping Park nestled in the Pentewan Valley, bordered by the River Winnick offers well equipped static caravans to hire or a sheltered meadow for motorhomes, caravans and tents. With a wealth of facilities including a games room, swimming pool, pets corner, children’s play area, free internet access and cycles to hire you really will be spoilt for choice.